The Contested Imagery of Power in Turkey. Photographs by Mike Mandel and Chantal Zakari. Eighteen Publications, 2010. 272 pp., 393 color and 9 black & white illustrations, 8x9¼". The State of Ata adresses the social themes that define contemporary Turkey. Specifically examining the imagery of Mustafa Kemal Atatürk, the country’s revolutionary leader after WorldWar I, the volume interweaves photographs, interviews, artists’ interventions and archival imagery. The result is a complex visual exploration of the uses of Atatürk’s imagery and the way in which it functions in contemporary Turkish society as a perceived link to Western culture, and as a symbol in opposition to the rise of the Islamist political movement. Mike Mandel and Chantal Zakari conceived The State of Ata as a collection of books within a book—a photograph album, a volume of military portraits, a diary—and the result is a unique project that will appeal not only to those fascinated by Turkish culture, but also to anyone interested in the popular representations of cult historical figures. 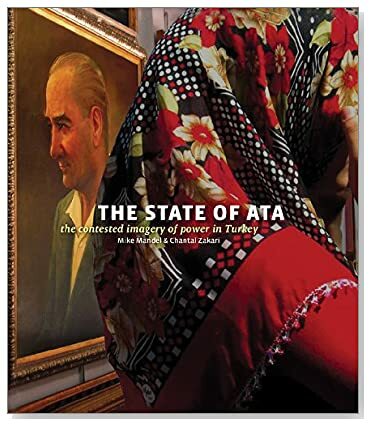 Read Sebastian Arthur Hau's review of State of Ata in photo-eye Magazine. Read the interview with Mike Mandel and Chantal Zakari on photo-eye Blog.